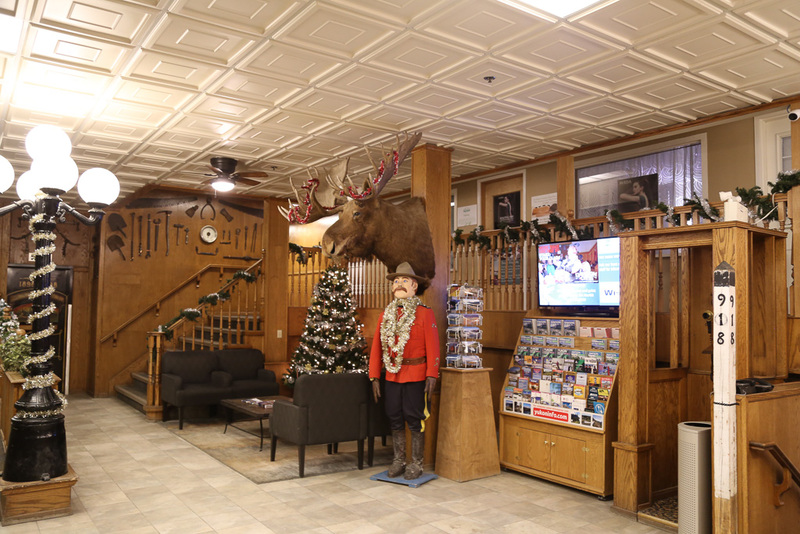 The historic Best Western Gold Rush Inn is one of the larger hotels in Whitehorse, with 99 rooms. 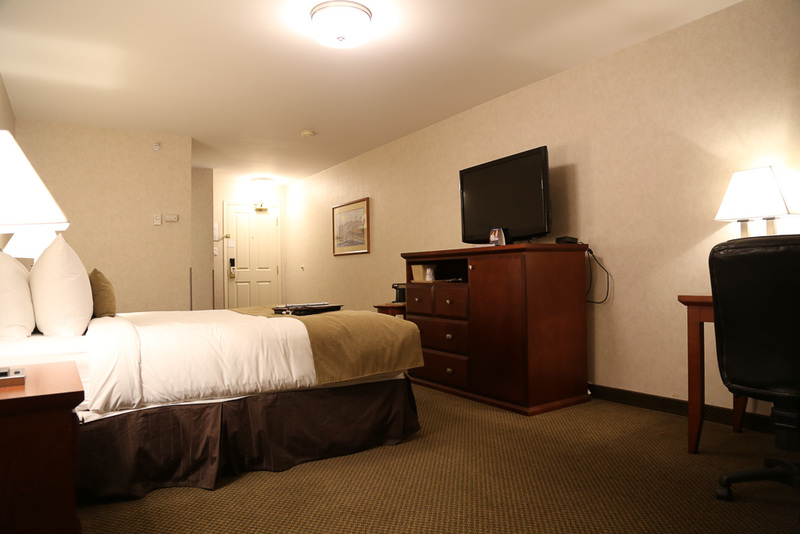 It is an older hotel, but has been very well maintained. They are currently renovating the outside. The front lobby area is very open, with high ceilings and lots of wood. 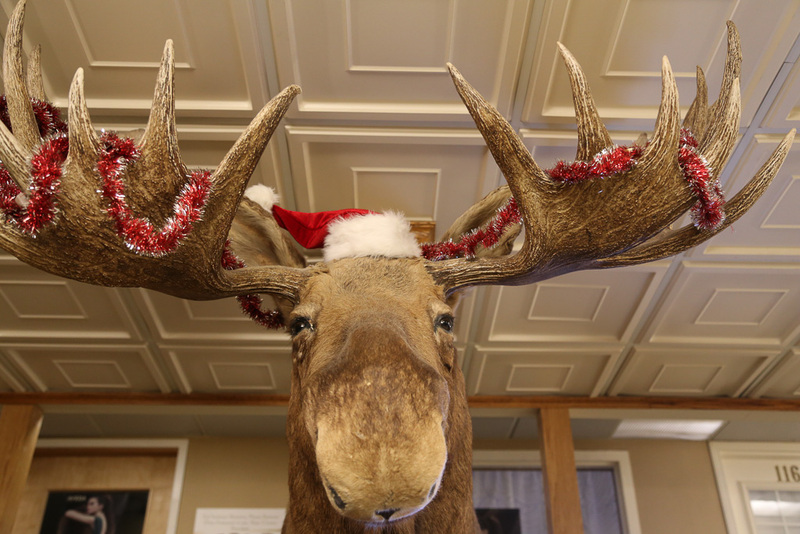 There is a very large moose head that draws your eyes as you walk in the door. 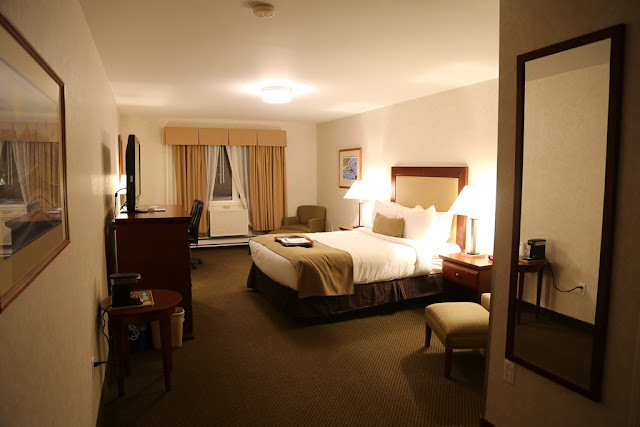 The front desk clerk was very friendly and helpful, my reservation and room were ready when I arrived. For a first-time visitor, the elevator may be slightly difficult to locate. The door has been painted to look somewhat like a walk-in safe, though the floor indicator sign above the door might be a bit of a giveaway. It is very well done and adds to the atmosphere of the hotel. 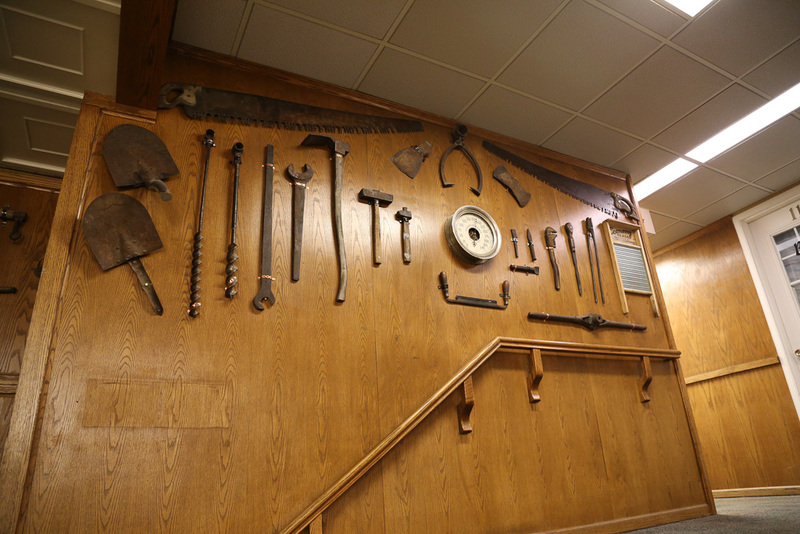 The walls are decorated with old tools of the trade from the days of the Klondike Gold Rush. The only issue I had at check-in was the parking ticket. I parked out front to check-in (not even 15 minutes) and while my back was turned, parking enforcement came by. Fortunately, it was only a $10.00 ticket. Suggestion, always check the parking meters and carry change to plug them with. The hotel does provide complimentary parking in the lots to the west of the hotel. The guest rooms are very neat and clean. 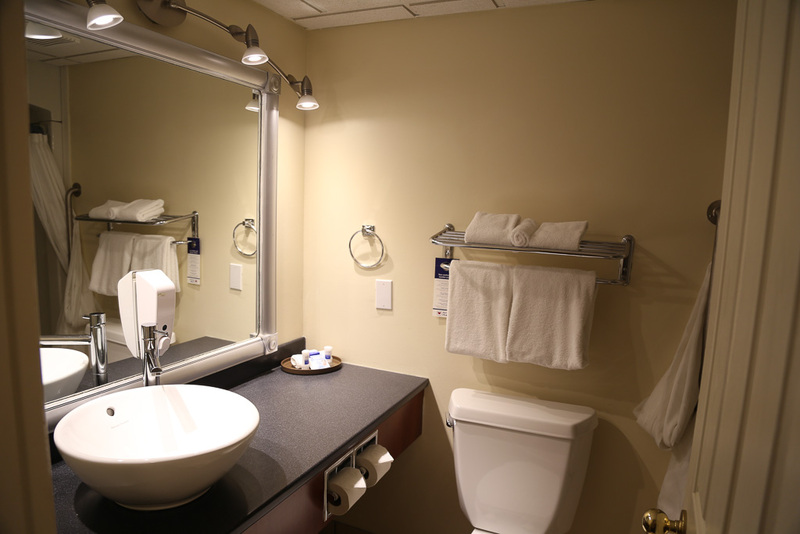 The bathroom had the usual amenities available and was well-lit and maintained. I had a room with a queen bed and a couple of comfy chairs to relax in. There was also a desk that you could utilize for your computer and a large screen flat screen TV. The bed was very comfortable; I had no problems getting a good night’s sleep. There were no noise issues overnight, it was very restful. 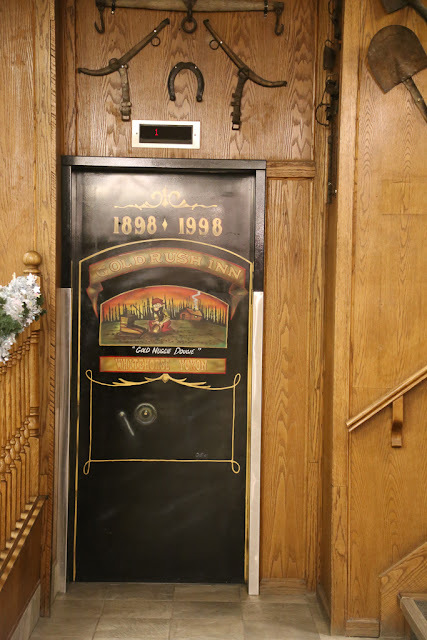 There is a cozy pub attached to the hotel, The Gold Pan Saloon. They had live entertainment scheduled for the weekends throughout the month of December. The pub itself was about ¾’s full when I arrived and was fairly loud as a result. I came in just before 10:00 pm and was able to get a quick bite, but only just. The kitchen closes at 10:00 pm, though the pub remains open. The menu was not extensive, but they had a good variety of offerings. The décor in the pub also leans heavily on the wood paneling, but it suits the ambience of the locale. They also offer a great selection of beer on draft, including the local Yukon Gold & Yukon Red. Elements Hair Studio and Day Spa is available for various spa treatments including manicures, pedicures, facials, body treatments, waxing, mehandi henna tattoos and more. It is open Monday to Saturday. There is also a massage service available so that you can ease those aching muscles after your day. Some of the local things to do is visit the several of the National Historic sites in the Yukon, such as the S.S. Klondike (old Sternwheeler), or take a hike along the Chilkoot Trail. With luck, you may be treated to a show of the Northern Lights in the evening. (I’ve never been so lucky, but perhaps you will be). The hotel is located right downtown, thus you are within walking distance of quite a few shops for shopping. There even is a Timmie’s and Starbucks within 3 blocks of the hotel. 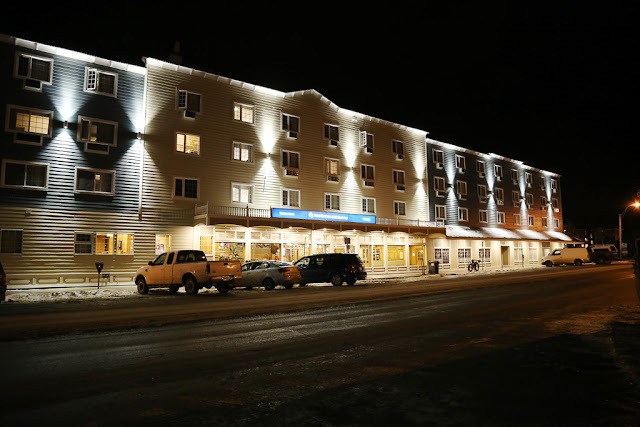 This is definitely a good hotel to stay when you are in Whitehorse and I would recommend it when you travel through this region. Remember that until the end of January you can earn a $10 Best Western Gift Card for stays at this or any other Best Western hotel. Register for the offer here! Talk to us! 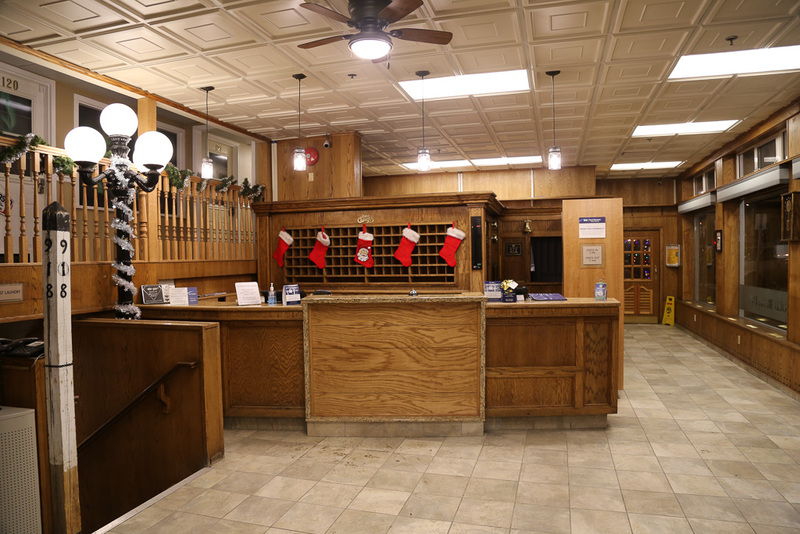 Have you stayed at the Best Western Gold Rush Inn? What are your thoughts of the hotel? Or are you planning to and looking forward to it? Let us know below!